This talk was recorded at our South Dedication Service. The first place Jesus’ disciples were ever called ‘Christians’ was in Antioch – one of the biggest, most multi-cultural cities in the Roman Empire. 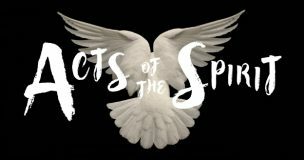 In this talk, Tim explains why that was, and how the Spirit works to bring unity between very different types of people by forming them into one, new family.